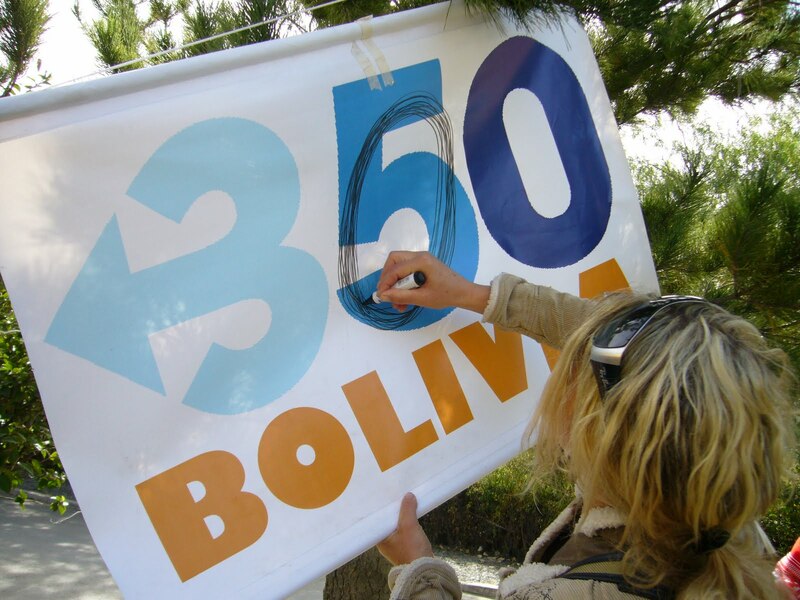 Knowledgeable people and authentic activists that are going to the “People’s” Climate March must re-ignite the “People’s Agreement” (Cochabamba, Bolivia, 2010), reject 350’s corporate agenda, and step aside for the Indigenous nations to resume their proven leadership in protecting Mother Earth. 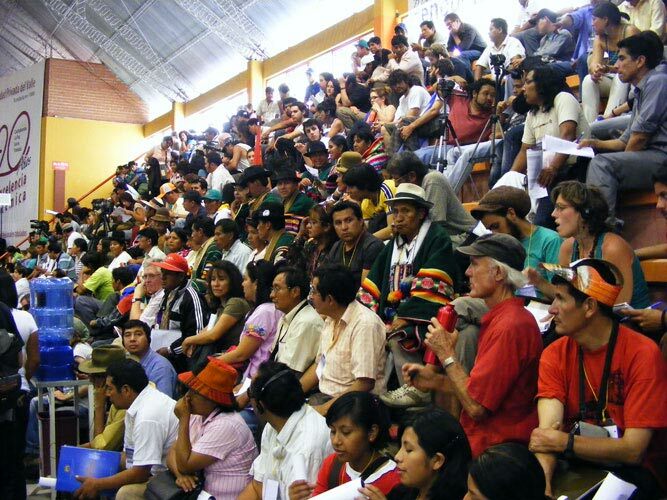 The World People’s Conference on Climate Change and the Rights of Mother Earth that took place in April of 2010 in Cochabamba, Bolivia, was the first and only climate conference that 1) was led by Indigenous Peoples (approx. 35,000 people attended), 2) was hosted by a state with an Indigenous President (Bolivia’s first Indigenous President) 3) was presented by a state with a very strong position on climate change (still to this date, the state that holds the strongest position in the world), and 4) produced the first democratically written document by its members as an answer to climate change – later to be submitted and recognized by the United Nations (due to the State of Bolivia representatives, no thanks to climate justice groups.) The resulting declaration, the People’s Agreement that resulted from this conference, would come to represent the only climate declaration ever written that could serve as an ideological and scientific foundation to build upon; that could have possibly (and realistically) averted, or at least mitigated, advancing climate crisis and ecological collapse – if only it had been acted upon at that time.